You may be thinking to yourself, “I do remember that hail storm but I looked up at my roof and did not notice any damage. The Truth is, you can’t see hail damage from the ground. If hail recently hit your area, you probably have questions about whether your roof was damaged or not, and what steps you need to take to prevent further damage to your home. Read below for answers to questions we commonly receive from home owners. If you suspect you roof may have been damaged, call Minnesota Building Contractors today at 507-206-9607. 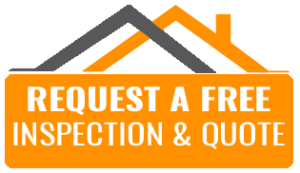 We will quickly send one of our roofing experts to perform a free inspection of your home and advice you of any needed repairs. It is often difficult for the untrained eye to determine hail damaged shingles. Your best bet is to contact a licensed, insured, reputable contractor for an inspection. Minnesota Building Contractors provides a free, no obligation hail inspection. The good news is – unless you have a broken skylight or sustained a major breach – you have time to make a researched and informed decision. No one should ever pressure you to “decide today.” Because sun and rain will cause your damaged roof to deteriorate, it is important for you to determine if your roof needs replacing and select a reputable contractor to have the work completed withing the next 12 months. Even though hail storms can make for a long waiting list with roof installers, we recommend taking your time. Most insurance companies will give you a year to file a claim, but check with your insurance carrier before assuming you have the same time frame. Many companies will attempt to trick you into signing up before you do your research. Don’t fall prey to these shady roofing tactics. Make sure you are completely comfortable with your roofer and you are sure he’ll be around to back his work. If you had hail hit your home, your roof may be damaged and you’ll need to call your insurance company. They will send someone to inspect your roof. The good news is that in most cases, homeowner’s insurance does cover hail damage. Please check with your agent to see exactly what type of coverage you have. Homeowners should seek a proper assessment of damage and a thorough restoration plan by a reputable roofing contractor like Minnesota Building Contractors. You may be approached by people who are trying to take advantage of you. Beware of out-of-state contractors. Storm chasers may jump at the chance to take your money and then leave before the job is done or not take care of problems they have created. Contractors who offer to reimburse you for your deductible or not charge you for it could be committing insurance fraud. If you agree, YOU COULD BE PARTICIPATING IN FRAUD! It’s in your best interest to ask a lot of questions and do your research. Ask to see certificates of insurance for workers compensation, liability coverage and completed operations coverage. Ask about the product warranty as well as the warranty the contractor offers on their installation work. Make sure all the workers are licensed. If not, you may get a cheaper price, you are responsible for the safety of the people who are walking around on your roof. Ask for references and check the Better Business Bureau for reports of fraudulent and sub-standard work.